With 2018 slowly rolling by, one of the biggest “resolutions” our family made was to lessen our household waste and make more conscious eco-friendly decisions. It seemed like an easy enough plan to make, each of us would do our best to recycle, use less and make better choices for the environment. Little did I know how many changes we would be making, and how easy they have been to keep up with! 20 years ago, we didn’t have access to online shops and artisans like we do now, it was significantly harder to live a “zero waste” lifestyle without some serious commitment to hunting down someone with the knowledge. 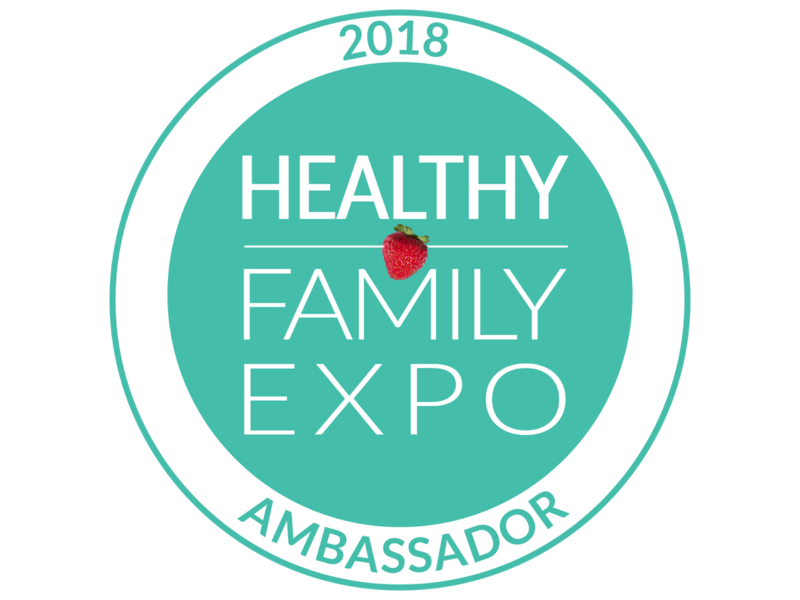 Thankfully in 2018, there is a wealth of information, products, and resources that have changed our families lifestyle ten-fold! One of the biggest ways I chose to lessen my own waste, was to eliminate disposable pads and tampons. I figured at 35, it was time. 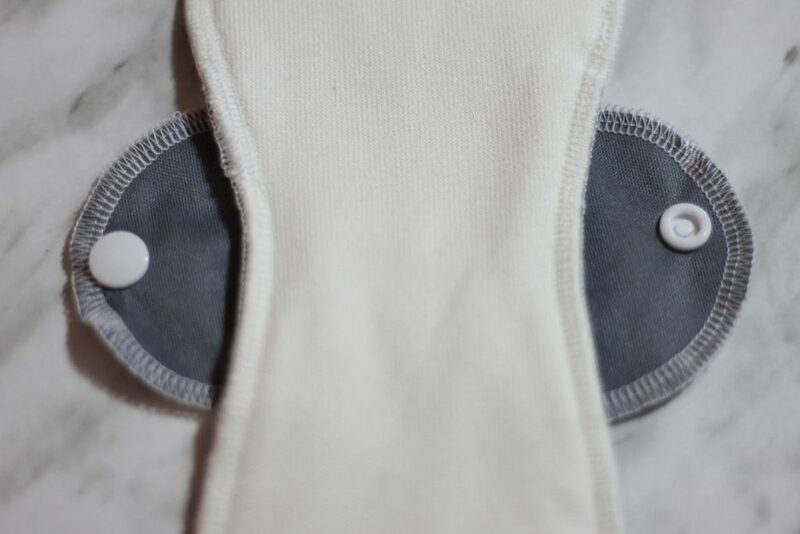 A friend of mine introduced me to the diva cup some time ago but I was very interested in learning more about cloth pads in conjunction and well, small changes = huge impact! 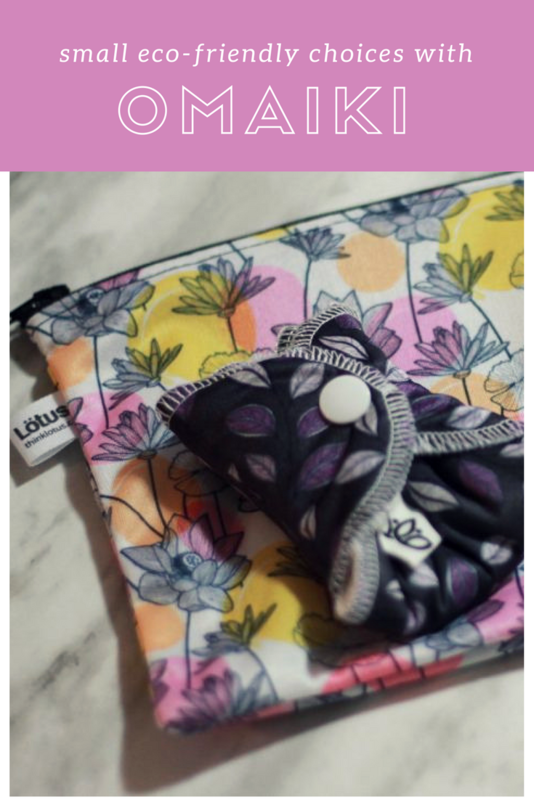 When I was introduced to Omaiki, the makers of Lotus, I was curious how they would compare and so far, they are a huge favourite and made the transition to cloth super easy. I know I’m not alone in this. With millions of women having a period every month, it’s time we have a serious conversation. The impact our choices have on the earth is huge, and by opening the line of conversation and removing the “ick” on a lot of “reusable” products, we can move some serious eco-friendly mountains. A big reason I’m steering away from store bought menstrual pads is mostly the chemicals. Until I did a little research, I never knew what kind of chemicals were actually in disposable products and to be honest, it’s kind of horrifying. 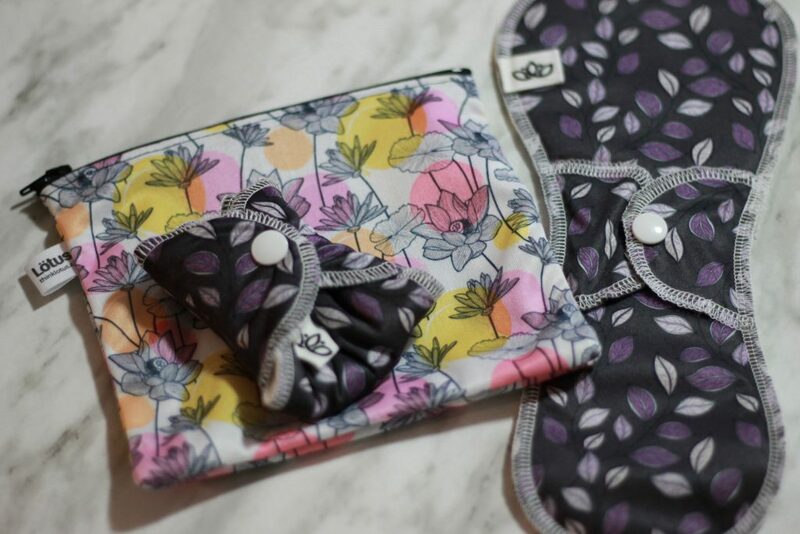 Omaiki makes all sorts of great products like cloth diapers, menstrual pads, and nursing pads all with a blend of bamboo and organic cotton that is safe for even sensitive skin. 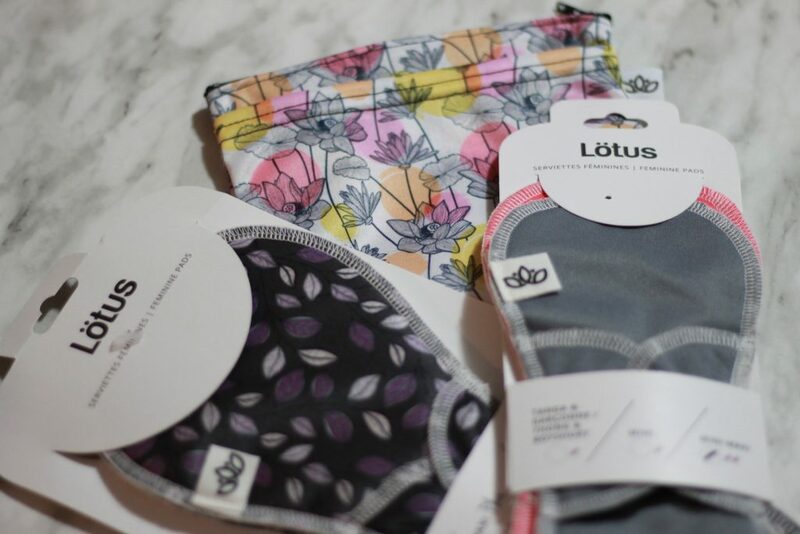 I *have* tried a few different brands of reusable pads over the past year, and I strongly feel that like many things in our lives, not every product will work for every woman but after some time invested in trying out Lötus, I really appreciated that they clearly took some input to heart and created a product that works! The first thing I noticed about my Lötus pads was the actual construction. The pad wing is stitched in a way that doesn’t cause the pad to fold over and become smaller like I’ve seen on different products. The placement of the wings also makes it significantly easier to snap together without a fuss. This was a HUGE plus for me, I hate trying to figure this out on the fly! 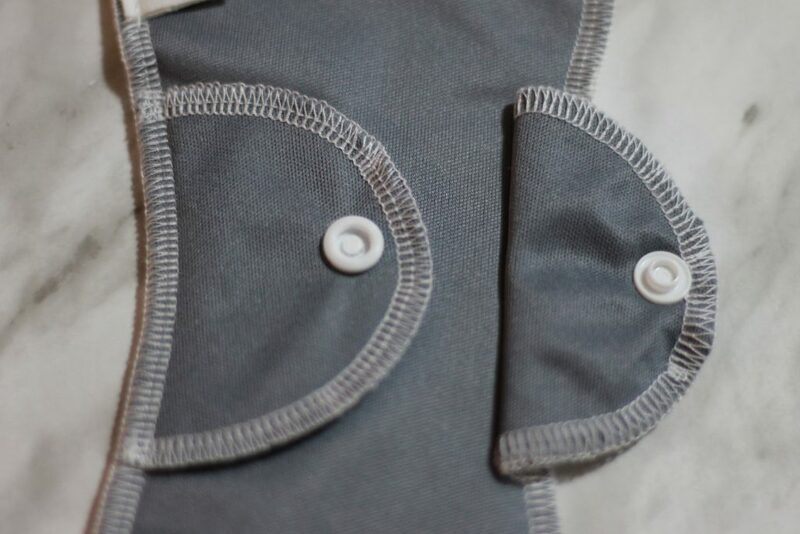 Also, the fabric is incredibly soft and comfortable, forming perfectly to where it needs to be. Also, that softness is unparalleled. You can really notice the bamboo blend! Using a reusable menstrual pad opens up so many avenues women didn’t have before. Here are some more reasons I’m making the Lötus a part of my routine. #1. Saving money– Think about the money that you spend on menstrual pads and/or tampons every single month. With a one time purchase of a reusable pad, that is the only cost associated! Also? No more trips to the store in a rush. You have what you need on hand when you need it. Lötus is constructed to last, boasting a lifetime of 5-10 years (depending on care) and can help save you upwards of $800 in 5 years and much more over your lifetime. At approximately $10 a pad, the investment up front is about $100-$125 to stock what you would need to not need to wash during your cycle. At approximately $1600 over 10 years saved, spending $120 doesn’t seem that bad does it? #2. The different styles/types make me happy – No matter at which stage you’re in your life, the Lötus works! I’m also a total sucker for fun, cute prints and there’s no shortage of those available either. #3. We’re helping to save the earth– A woman who uses throwaway pads can add up to 38 (20-gallon) garbage cans of waste in one lifetime (!!!) equaling 10,000-15,000 menstrual pads. I don’t know about you, but that’s a staggering number for someone who is trying to make LESS waste. I cringe whenever I think about adding more waste to my local landfill. Keep this in mind: it takes about 500 years for a disposable pad to break down. However, cotton can break down in about 2 years. 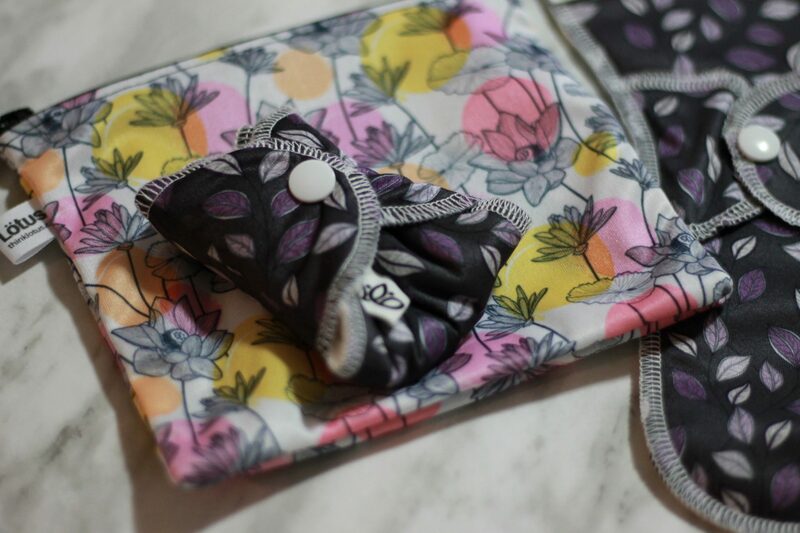 By choosing reusable pads, you’re keeping garbage and chemicals out of our landfills = win! #4. Easy to use & wash – One of the major deterrents I’ve heard from women I’ve spoken with about reusable cups and pads, is the “ick” factor. How do you wash it? How do you change it? What do you DO with it while you’re out? Fear not, it’s not as gross as you think. 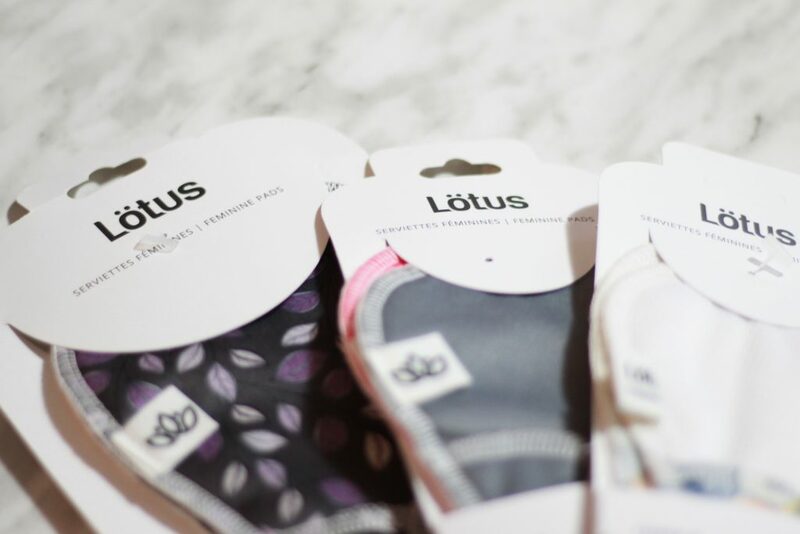 First off, the Lötus is super absorbent with a product that meets your flow needs, so leakage is rare when used properly. When you’re ready to change it, fold it up discreetly around itself (like pictured above) and tuck it into a waterproof wet bag until you can get home. When you’re ready to wash, you may prefer to give it a quick pre-rinse in the sink or a bucket in the laundry room and then toss into the washer and dry as normal. I folded up a Maxi flow pad to show you how small they fold, the mini and mini-maxi fold even smaller. The Lötus wet bag also has a pocket on the outside to store clean pads when you are out and about. If you do have some stubborn stains, a stain stick from Dr. Bronners or Nellie’s can take care of them pretty quick, or line dry in the sun. #5. 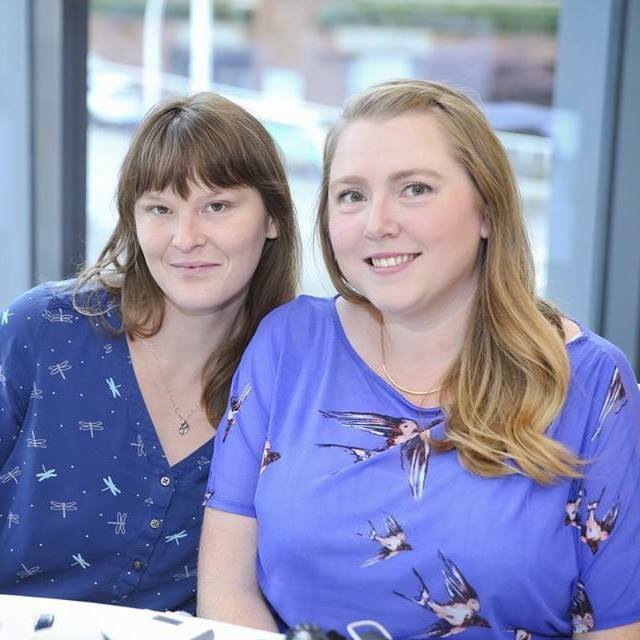 Canadian Made – Very easily the number one selling point for me, Omaiki is not only a proudly Canadian company using Canadian fabrics, it’s a woman run company that is aiming to reinvent periods for women everywhere. A big way we can lessen waste and our impact on the environment is to support local companies who are keeping their company local. Small steps, HUGE impact! Whether you’re ready to take the full plunge and break up with disposables, or just wanting to test the cloth pad waters, I definitely recommend checking out Omaiki. The Starter Kit is the perfect amount of products to get a feel for if it’s for you and includes everything you need – including a new wet bag! I’m considering making the switch. Every small change counts in the long run! Wow this is very interesting!! OMGosh, this is so cool! I hated the bell shaped menstrual collectors and will definitely check them out. Plus they have wings! I’ve thought about switching over to these for the last while. I only use organic cotton disposable pads right now but worry about all the waste. This brand sounds really ideal. I’m all for cloth diapers and nursing pads. Thankfully I’m way past having to decide about whether to use menstrual pads or not. Thank you for the info. They look so lovely and yet are safe for the environment. Great idea , i like the thought of cloth pads , thanks for the great review 🙂 i will def be looking into them ! Are the Maxi Plus pads a lot thicker than the Maxi?